The 2014-2015 school year focused on literacy and building background knowledge before learning. In the past few weeks, I allocated considerable amount of class time dedicated to pre-reading. The objective of the lesson was stated and the skills I hoped they acquire. 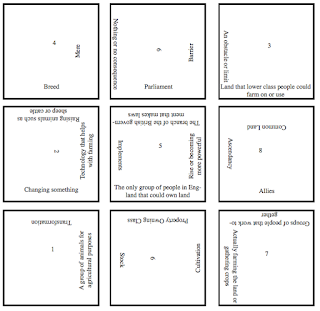 To start the lesson, I created a fact cube with words from the up coming reading. 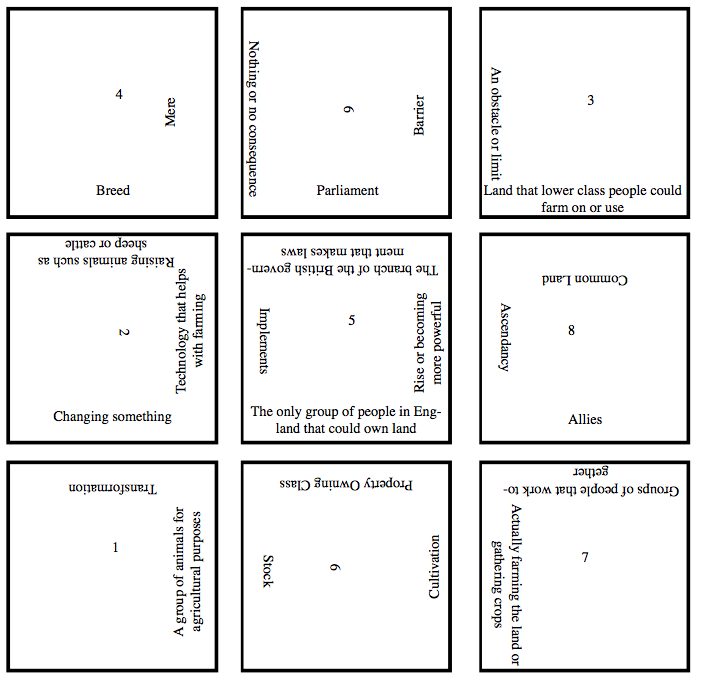 I cut the nine squares and put the students into pairs. I gave the students seven minutes to attempt the cube. It was great to see them piece the puzzle together. The students were so engaged! The students struggled, but I was able to guide them without telling them the answers. When the students finished, they left the cube on their desks so they would have access to the definitions while reading. Next, I had the students pick two of the words and predict what the reading will be about. Here are two examples. It was so powerful! The students received positive praise for their efforts. When I picked these two students to display their work over AppleTV, they were taken aback by how right they were and the praise I gave them and their fellow students. The best part was there wasn't a wrong answer in this process. The examples above show how students were able to predict what the reading was about. Even if a student was wrong in their prediction, they were connecting the words and thinking in the process! The reading was short but dense. As they read, they so much to fall back on because their learning had been activated and received feedback on their understandings of the definitions and predictions.